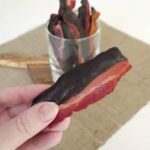 Enjoy sugar free and low carb chocolate dipped bacon as a sweet ‘n’ salty snack or treat! For non-low carbers, chocolate dipped in bacon is pretty easy. 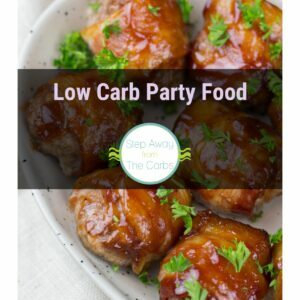 If you’re following a sugar free or low carb diet, you need to be a little more careful. And it all comes down to the chocolate. 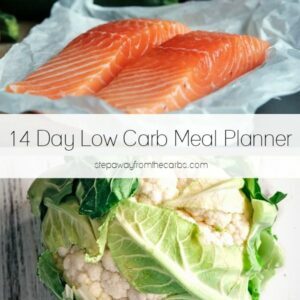 Before you try this recipe, find a low carb chocolate that you like to eat on its own. My absolute favorite is Lily’s Chocolates – I recently bought this variety pack of six bars! Although I was tempted to use the Salted Almond and Milk bar for this recipe, I thought things might end up TOO salty, so decided on the Original Dark Chocolate instead. Watch my video tutorial or scroll down for the full details and recipe card! 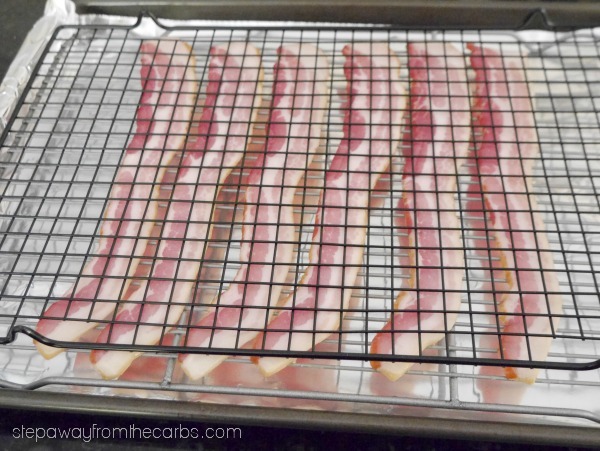 First, place the bacon on a rack that is set inside a baking sheet. Then, place an inverted rack over the top (I use non-stick ones). This is a similar technique to how I made bacon weaves for my non-bread BLT! Cook until the bacon is crispy, turning it over if necessary. Dry on paper towels and set aside to cool. Meanwhile place 2oz chocolate (about two-thirds of a regular bar if you’re using Lily’s) into a bowl and melt it in the microwave. NOTE: In the recipe video tutorial I whole 3oz bar – but you don’t need this much. Cut the bacon in half so you have short lengths. 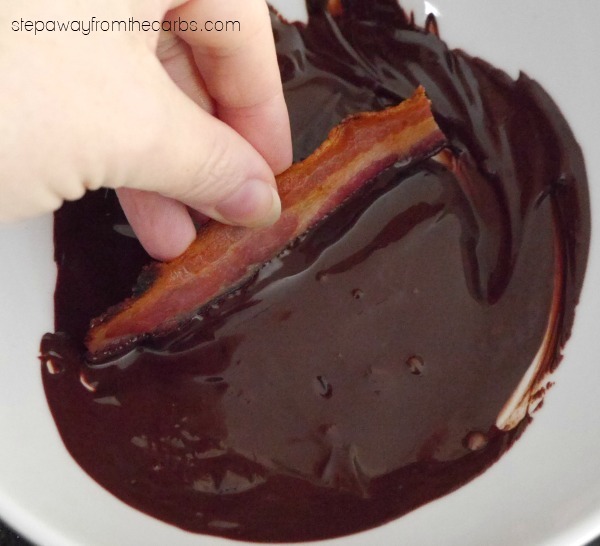 Dip each piece of bacon into the melted chocolate on the long side. This way you’ll be able to taste bacon and chocolate with every bite! Place the chocolate dipped bacon onto a baking sheet or tray lined with wax paper or baking parchment, and leave to cool and set. Preheat the broiler. Place the bacon on a rack over a baking sheet. Place an inverted rack over the top to prevent the bacon from curling. Cook the bacon until it starts to turn crispy, turning over if necessary. Drain bacon on kitchen paper to remove excess grease. Cut each slice in half. Melt the chocolate in a bowl in the microwave. 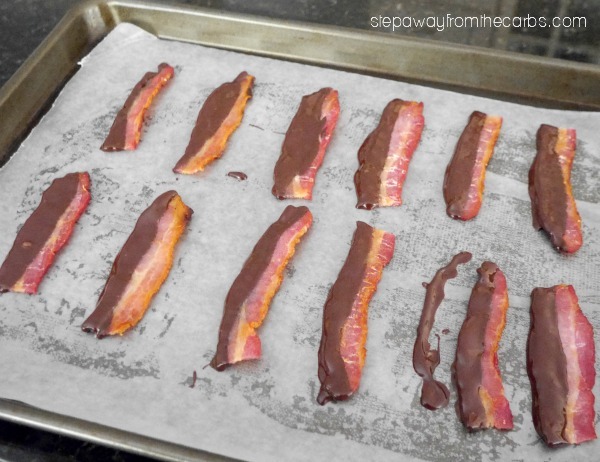 Dip the long edge of each piece of bacon into the chocolate, and leave on a piece of wax paper to set. Delicious! 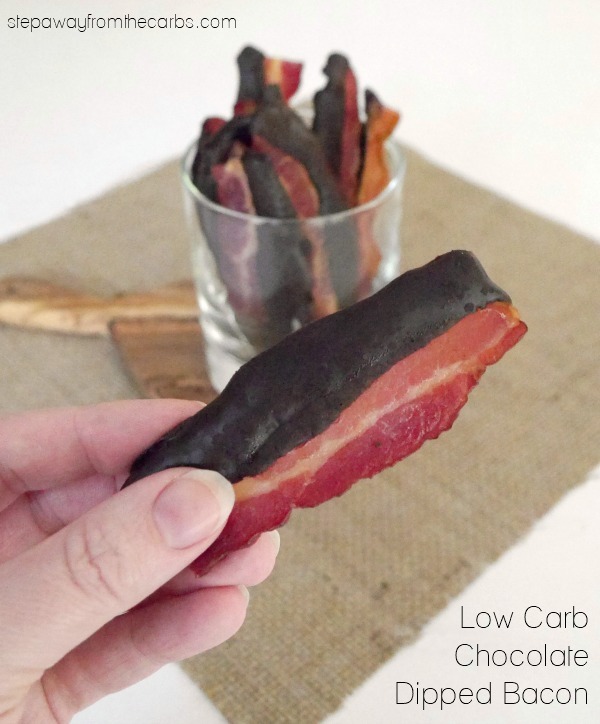 I love chocolate and bacon – enough said! ☺️ It’s a perfect combo! Such a great idea for a quick snack! Salty and sweet! Mmmm. I’m not sure where the “hook” was – at “bacon” or “chocolate”. Lol. 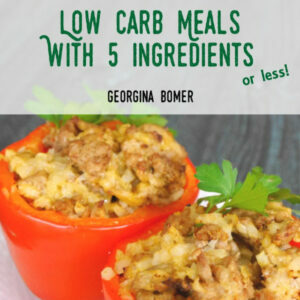 What a fun recipe and it couldn’t get easier than 2 ingredients. I like how you ensured straight bacon with the use of two racks – perfect.